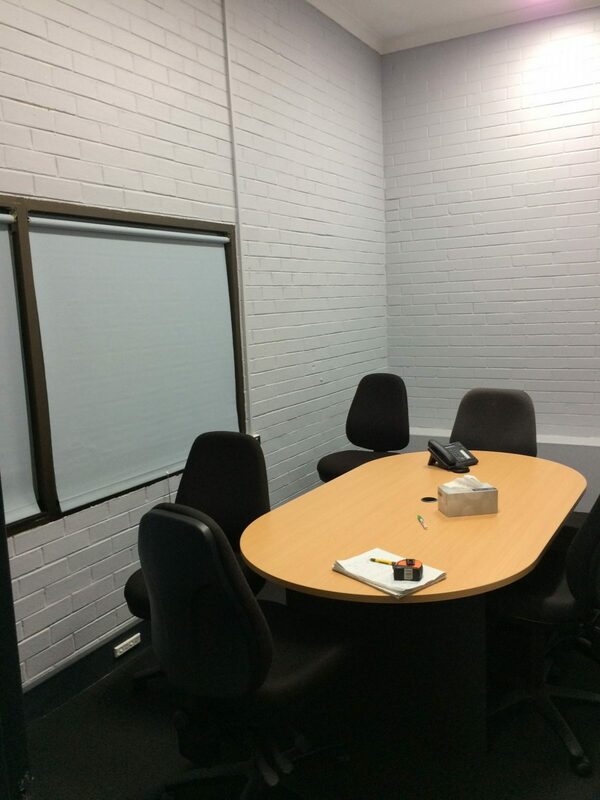 Calando Panel from Avenue Interior Systems was recently used at a specialist manufacturing company in Western Australia for a solution to a noise challenge they were experiencing in their meeting room. 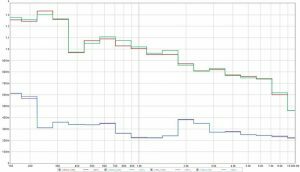 The company’s engineer had taken some measurements and confirmed the reverberation was quite bad and they needed treatment to reduce it. As a solution to this problem, Avenue Interior Systems supplied six sheets of 50mm Calando Panel, made from 100% recyclable polyester, which were installed on two walls in an ‘L-shape’. 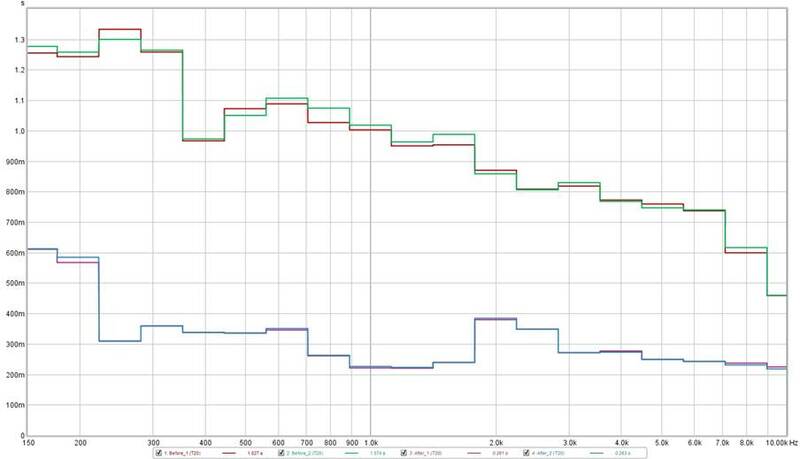 The client was very happy with the outcome, saying the panels had been very effective in reducing reverberation, which was proved by the company engineer with noise testing before and after the install (see graph below). After experiencing the benefits of Calando Panel, the specialist manufacturing company are now looking at installing panels in other rooms. Used as a premium sound solution for wall and ceiling applications, Calando Panel is engineered for superior sound absorption and balanced acoustic design. Unique acoustic detail, custom panels or artworks can be created using the latest technology to meet customer requirements and satisfaction. This high sound absorption product is lightweight, semi-rigid, impact resistance and incredibly durable, allowing interior designers to explore new horizons and break established boundaries. Supplied in sheet form that can be cut to size and framed on-site, Calando Panel eliminated issues with on-site variations in wall size and shape. The Calando Panel can be applied as high performance acoustic panel for commercial interior sound control with a sophisticated appeal, refined acoustic surface for framed modular office partition panelling, suspended or direct fixed feature for ceilings, wallcovering with exceptional absorption of reverberated noise, functional acoustic wallcovering for retail and commercial interiors and as a decorative feature with custom cut and custom printing options available. Call AU 1300 827 177 to speak to one of our team members or fill out the Contact Us form and we will be in touch! Next StoryGreen Guard Gold Certified!